Home » Product News » NEW!! Exclusive Star Design! We are delighted to announce the launch of our Star children’s accessories … perfect to add the finishing touches to bedrooms, playrooms or nurseries. 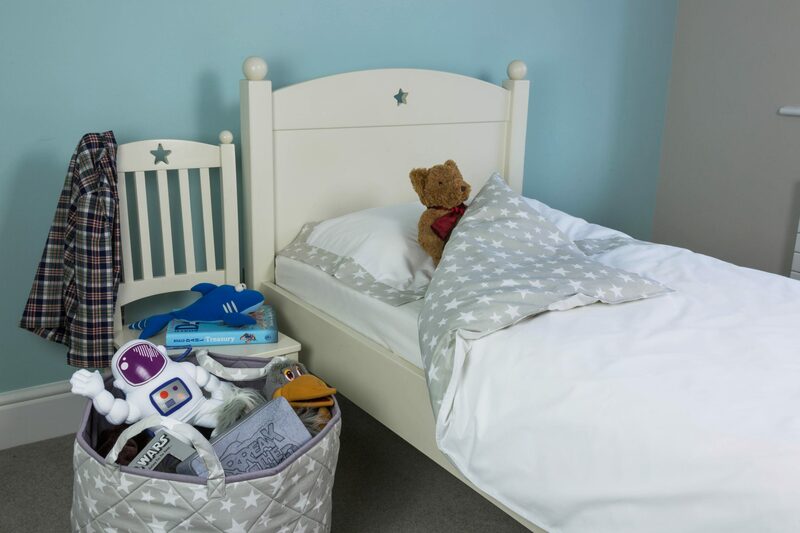 The range includes toy baskets, laundry baskets (available in grey star only), bedding (single and cot bed size) and bedside organisers. Don’t forget to join our mailing list for 15% off your first order.